To inquire about a media interview, a presentation on either of my books, and/or a book signing, please click here. Saturday, June 8, 2019, 4-5pm (location TBD). I’ll be presenting to Big Mantrap Lake Association. Subject: Early Big Mantrap and area resorts. Monday, October 29, 2018, 7 pm, with Hubbard County Historical Society in Park Rapids, MN, at Northwoods Bank. Topic: “Early Hotels in Minnesota.” A slide presentation showing some of the popular early Minnesota hotels and the stories associated with them. When I began writing my book, The Early Resorts of Minnesota, I had planned to title it “A Place to Stay.” It included hotels, and I collected several hundred photos of hotels, as well as resorts. However, because of the large number of resorts, I had to abandon cataloging early hotels, change the title, and concentrate on resorts and tourism. This presentation is an opportunity to learn more about those early hotels. Saturday, October 13, 2018, time 11am-2pm. I’ll be part of a “Around the County with Local Authors” at Little Falls’ Great River Regional Library. Sunday, September 30, 2018, 1pm. I’ll give a presentation about my book The Early Resorts of Minnesota at the Golden Valley Public Library My book was chosen because its subject matter relates to the setting of the library’s “community read” book, Vacationland by Sarah Stonich. Her novel is centered on a once thriving resort in Northern Minnesota. Thursday, September 27, 2018, 7pm. 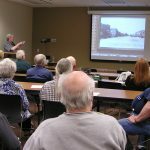 Presentation on the history of Minnesota resorts at the Brainerd Family History Center, 101 Buffalo Hills Lane West, on the south edge of Brainerd. 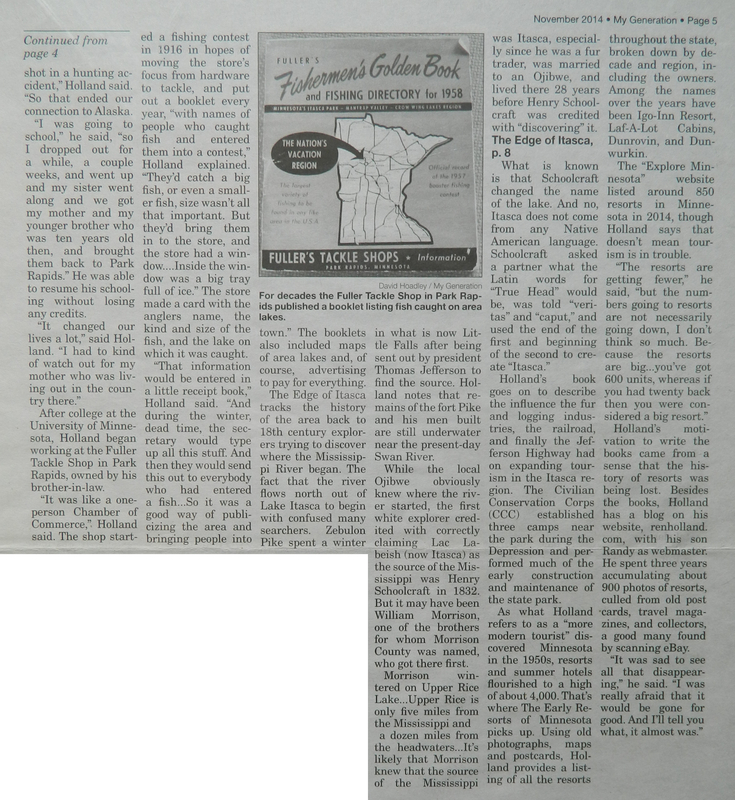 It is sponsored by the Crow Wing County Genealogical Society. Saturday & Sunday, September 8 & 9, 2018. 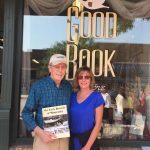 Book signing at Good Book & Gift Store as part of the Little Falls Arts and Crafts Fair (which has 100,000+ attendees). Click here to read about this event. Saturday, June 16, 2018, 11am-3pm in Park Rapids, MN. I’ll be signing my books at Beagle and Wolf Books & Bindery’s annual Author Fest. Of note, the event has grown so large the event will take place at the American Legion, 900 1st St E, Park Rapids, MN 56470 (on the east side of town, with 1st St. the same as Highway 34). Wednesday, May 9, 2018. Interviewed for “85-year-old log building on Maine Avenue refurbished” by Shannon Geisen for Park Rapids Enterprise. Monday, March 26, 2018. Interviewed for “Last resorts: The slow disappearance of a northern Minnesota tourism institution” by Greta Kaul for MinnPost. The article also appeared later in the Duluth News Tribune. Sunday, March 25, 2018. 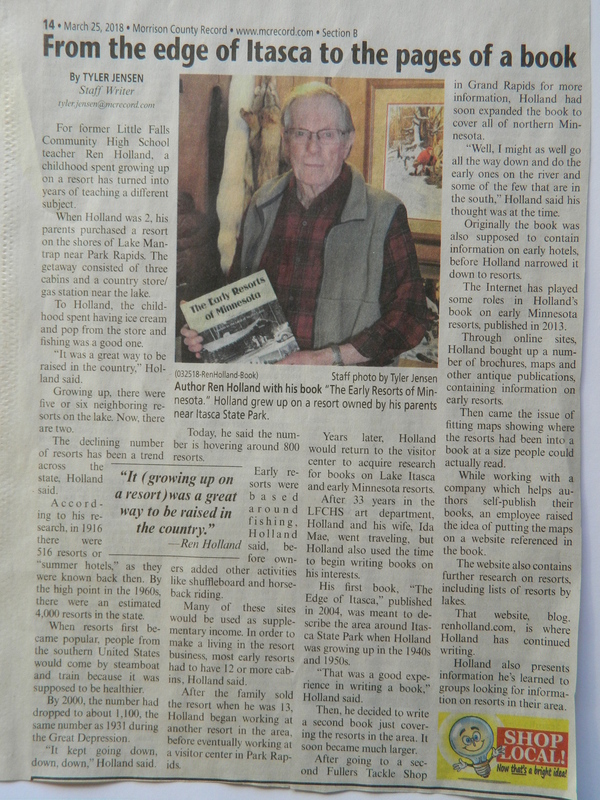 Interviewed for “From the edge of Itasca to the pages of a book” article by Tyler Jensen for the Morrison County Record. Saturday, March 10, 2018, 11 am, at the Sawmill Inn in Brainerd, Minnesota. Presentation to the Captain Robert Orr Chapter of the Daughters of the American Revolution. 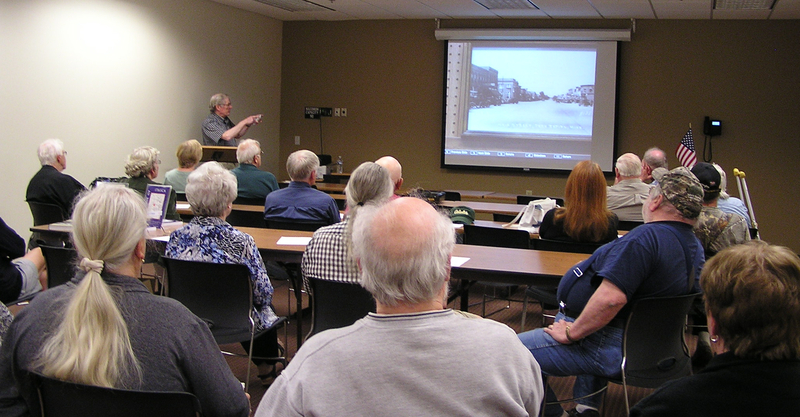 Topic: “Early Central Minnesota Resorts and Tourism.” Click here to read about this event. September 9 & 10, 2017. 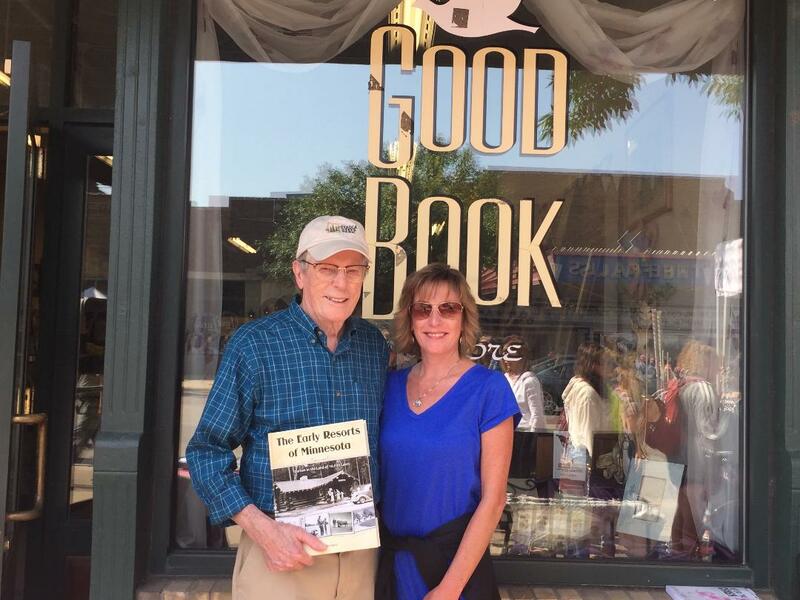 Book signing at Good Book & Gift Store as part of the Little Falls Arts and Crafts Fair. Click here to read about this event. August, 2017. Radio interview on “Your Best With Kathy Weckwerth.” To listen to the 18 minute interview, click here. Saturday, July 8th, 2017, 2pm, at the Great River Regional Library, at 1300 West St. Germain Street, St. Cloud, MN. A slide presentation on the early resorts of Minnesota in conjunction with the library’s photo display of early cabins and resorts. Monday, June 26, 2017, 7pm at Northwoods Bank in Park Rapids, MN. Presentation for the Hubbard County Historical Society on the history of Fuller’s Tackle Shops. Ren’s special guest to share information on Fuller’s will be Royce Holland, a former employee at Fuller’s Wholesale and Fuller’s Bemidji Mall store. Click here to read my blog post about this presentation. Monday, July 25, 2016, 7pm, at Northwoods Bank in Park Rapids, MN. Jefferson Highway presentation with Frank Mitchell for the Hubbard County Historical Society. Tuesday, July 19, 2016, 11am, at Itasca State Park’s Jacob Brower Visitor Center for the park’s 125th Anniversary celebration. Topic: Jefferson Highway presentation. Wednesday, July 29, 2015, 11am at Itasca State Park, Jacob Brower Visitor Center. As part of the Jefferson Highway Centennial year, special guest Frank Mitchell and I will present “The Jefferson Highway and Early Roads in Minnesota.” Frank will have his signed Jefferson Highway road signs for sale and I will have available signed copies of The Edge of Itasca and The Early Resorts of Minnesota. Monday, July 27, 2015, 7 pm at Park Rapids Lakes Area Chamber of Commerce building, 1204 Park Avenue South, Park Rapids, MN. 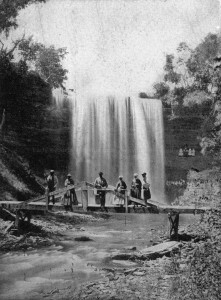 Topics: Early Resorts and Tourism in Minnesota. Sponsored by the Hubbard County Historical Society. Saturday, July 18, 2015, 10am. As part of Gully, Minnesota’s 105th anniversary, Frank Mitchell and I are presenting a program during Gully Day at Lund Lutheran Church, 201 S. Main, Gully, MN. Topic: The Jefferson Highway and Early Roads in Northern Minnesota. Click here to read my blog post about this presentation. Wednesday, April 22, 2015, 9:30am. Northern Exposure Lifelong Learning group at Gonvick Community Center, 226 Elm Street, Gonvick, MN. Program with Frank Mitchell on the Jefferson Highway. Click here to read my blog post about this presentation. Friday, April 17, 2015, 7 pm. Wadena County Historical Society at Sebeka’s Hub 71 Restaurant. Presentation: Destination Pines: The Jefferson Highway and Early Tourism in Minnesota. Click here to read my blog post about this presentation. Monday, March 16, 2015, 7pm. Presentation at Jay C. Hormel Nature Center, at 1304 21st Street Northeast, Austin, MN. Topic: Early Minnesota Resorts and Tourism. Click here to read my blog post about this presentation. November, 2014. 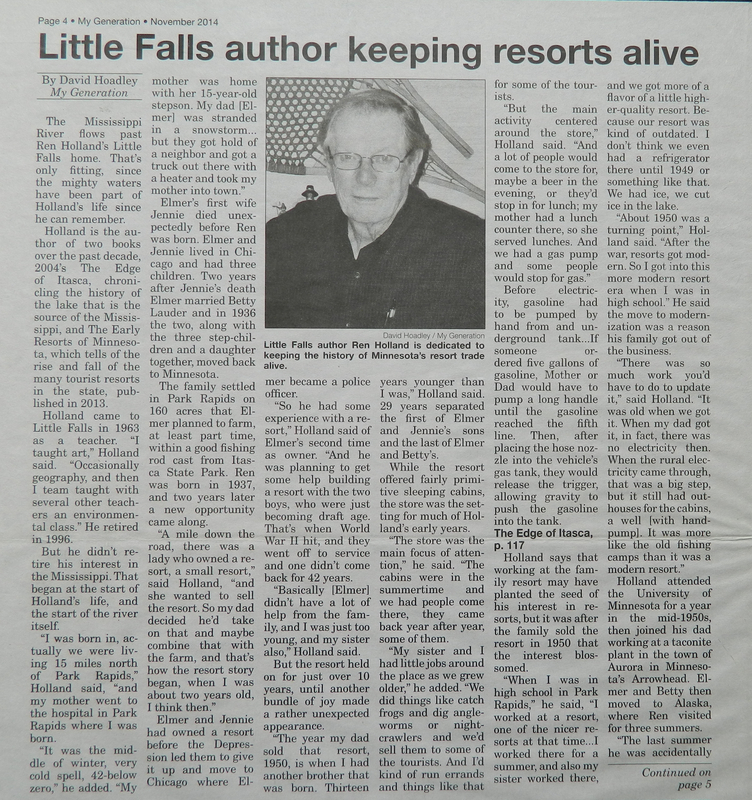 Interviewed for “Little Falls author keeping resorts alive” article by David Hoadley in My Generation. Click here to read Part I. Click here to read Part II. Sunday, August 10, 2014. Interviewed for “My Minnesota: Ren Holland Dun-Gud collecting Minnesota resort names” by James Lilek in Minneapolis Star Tribune. Thursday, June 12, 2014, 6:30pm. Austin, MN Public Library’s “Adult Summer Program.” A presentation on early Minnesota resorts and tourism followed by a book signing. Click here to read my blog post about this presentation. Friday, May 30, 2014, 1pm session “Destination Pines: The Jefferson Highway in Minnesota” at the Jefferson Highway Association International Conference in Park Rapids, MN. Location C’mon Inn. Click here to read my blog post about this presentation. Thursday, May 1, 2014, noon-1pm, early resorts presentation for the Kiwanis weekly meeting. Location is at St. Otto’s Care Center meeting room, 920 4th Street SE, in Little Falls, MN (across the street from Lion’s Park). Wednesday, October 23, 2013, 9:50-10:50 am. Break-Out Session “Timeless Hospitality: The History Of Minnesota Resorts” at the 2013 Minnesota Resort and Campground Association Fall Conference and Expo. The 3 day event takes place at Grand View Lodge, Nisswa. I’ll be discussing how Minnesota’s early resorts and tourism evolved, and why Minnesota became a popular national tourism destination. Sunday, August 4, 2013, 11:30am-3pm, book signing at Sister Wolf Books in Dorset, MN. This book signing is part of the annual Taste of Dorset “culinary feast,” with activities for all ages. Click here to read my blog post about this event. Saturday, August 3, 2013, 7-8:30 pm in Itasca State Park’s Jacob Brower Visitor Center classroom. 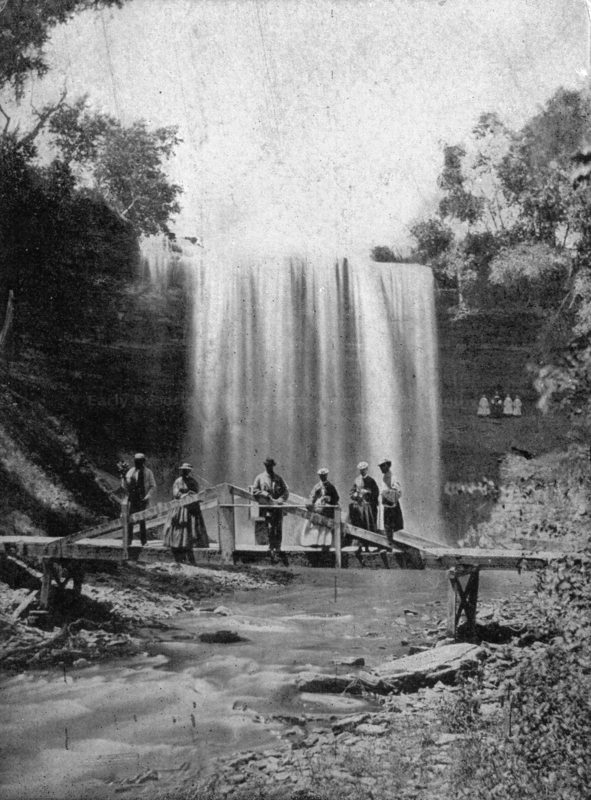 TOPIC: Early tourism and resorts in and around Itasca State Park. Afterwards I’ll be in the exhibit hall for book signings. Sunday, July 21st, 2013, 1-4pm at The Minnesota Fishing Museum (304 West Broadway, Little Falls). Book signing at Al Baert’s 90th Birthday Party. Thursday, July 18th, 2013, noon-1pm at the Hubbard County Historical Museum in Park Rapids (on the courthouse lawn, or the lower level of the courthouse if it’s raining). As part of the weekly “Thursdays at the Museum” brownbag lunch series, I’ll talk about local early resorts and history, including a “Name That Resort!” game with prizes. Sunday, December 16, 2012, 1–4 pm, at Morrison County Historical Society’s Weyerhaeuser Museum in Little Falls. Book signing, with slide presentation on early resorts and tourism at 2 pm. Click here to read my blog post about this presentation. Thursday, November 29, 2012, 3-6 pm, at The Minnesota Fishing Museum (304 West Broadway, Little Falls). I will have a book signing and slides of early resorts. Click here to read my blog post about this presentation. Saturday, October 6, 2012, 7:30-8:30 pm in Itasca State Park’s Jacob Brower Visitor Center classroom. TOPIC: Early tourism and resorts in and around Itasca State Park. Afterwards I’ll be in the exhibit hall for book signings. Click here to read my blog post about this presentation. Saturday, June 23, 2012, 4-6 pm. Book signing at the Festival of Authors and Artists, at Sister Wolf Books in Dorset, MN.